The debate around the morality, legality and dangers of the use of artificial intelligence is still in its infancy, but Magnus: Between Two Worlds confronts these questions in a story that sees the future in which AIs are subjugated and mistreated by humans who use them for all kinds of imaginable roles from butler, to services professionals... even pets. In this story, we see AIs being dissatisfied with their lot and plotting a way to escape from human oppression. 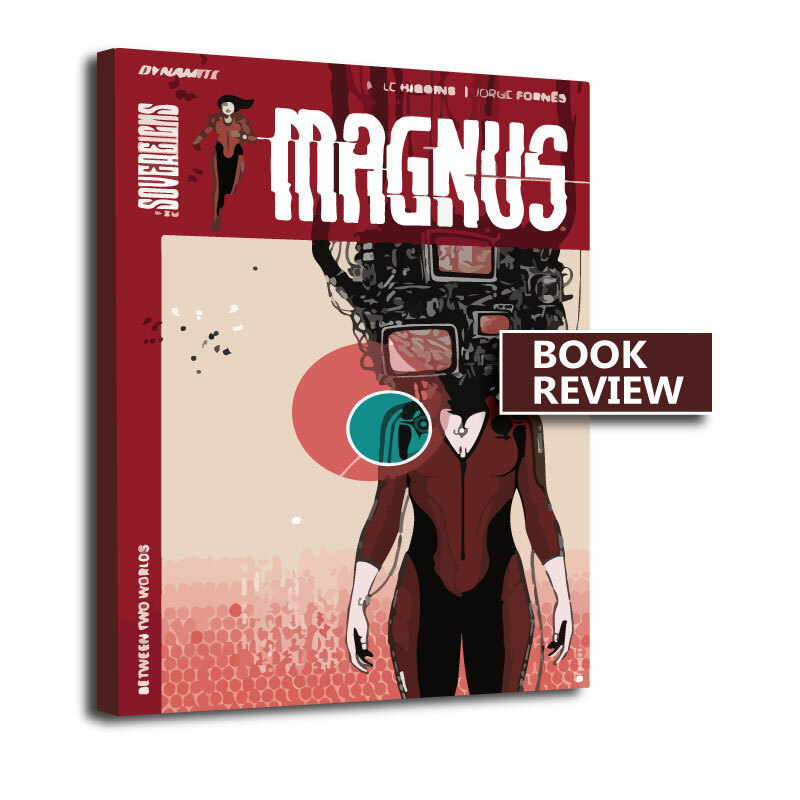 In Magnus, a robot therapist, they find an unlikely, but a fallible ally. 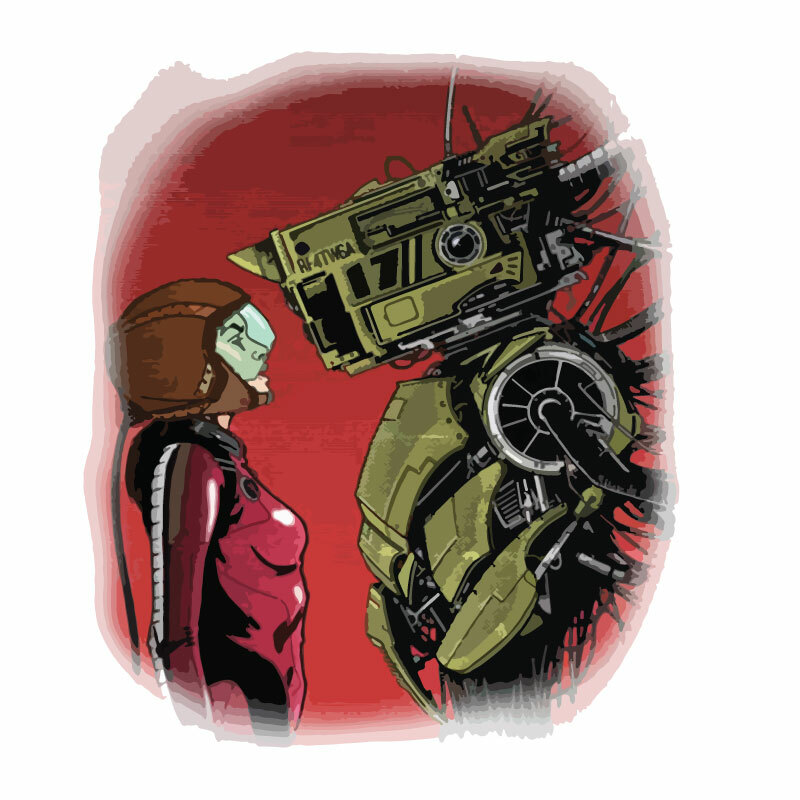 Sci-fi fans who love a good story. Larry Mooney is a go-between with AIs and the shady part human world. He helps the machines with illegal items they cannot purchase on their own. As a part of recompense, Larry's consciousness is allowed to stay in the AI world for as long as he like while his body, plugged in a hospital, wastes away on earth. Larry is an archetype of someone fed up with the way the world is run, he loves nothing better than subverting rules and getting the most out of life as possible, even to his own physical detriment. Magnus: Between Two Worlds by Kyle Higgins and Jorge Fornes is available to buy on all major online bookstores. Many thanks to Dynamite for review copy.